For the production of Particle Board, Medium Density Fiberboard, Low Density Fiberboard and Orientated Strand Board panels, a multitude of PATTM release agents are available. Depending on the actual production processes and individual circumstances, we offer products that can be applied to the mats and conveyor belts or that can be used to treat the press plates and press bands, respectively. 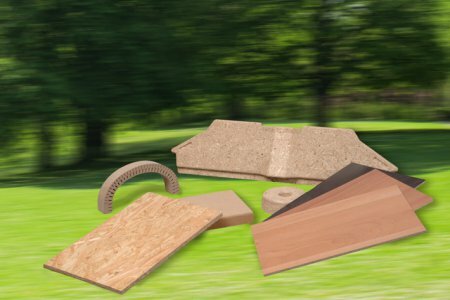 Over the years, we have created products that not only ensure a trouble-free production but also help to optimize additional properties of the finished boards. PATTM release agents are environmentally friendly, completely biodegradable, heat stable, & have no detrimental effect on the lamination properties. By using PATTM-Accelerators it is possible to drastically reduce time critical process parameters for your panel production while maintaining the desired panel properties. As a natural resource, wood and wood products tend to absorb water quite easily. PATTM-water repelling agents provide an effective protection against water absorption.